Foundation Physical Therapy and Endurance Coaching was founded by Renee Hodges, DPT (physical therapist), ITCA Coach in January 2015. Coaching through Foundation is fully customized for each athlete based on their athletic history, goals and daily lifestyle. Athletes have unlimited access to Renee with questions training plans changes, etc. Foundation focuses on building the fundamentals of athletic performance in order to achieve the ultimate potential of an athlete. Renee Hodges, DPT, ITCA Coach has practiced as a physical therapist with a specialization in treating runners since 2003. In 2014 she obtained her coaching certification in order to enhance the quality of education she is able to provide her clients. Renee has been running competitively since the last 1990's. 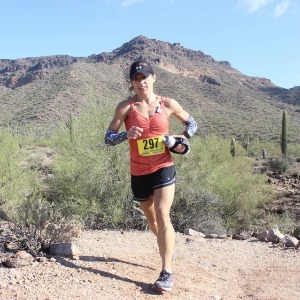 She has completed numerous marathons (including Boston), an ultra marathon, numerous triathlons (2 time Ironman finisher) and has a strong passion for competitive trail running. The unique combination of being a physical therapist and endurance coach allows Renee the ability to provide each athlete with knowledge of how to care for their bodies while they are progressing safely through a training plan that optimizes their athletic performance. Renee also offers a strength based group fitness class, one time a week, which focuses specifically on the mobility and stability activities needed to maintain a healthy body for endurance sports. Please refer to our Facebook page for more information on the group fitness class. Success. Coach Renee Hodges has been notified of your message.